Accept my love and blessings. Why not be more concerned with what lasts forever; what is permanent and eternal? Why not care more for that than for the fleeting relations? Why not think more of the eternal, permanent Reality with which you cannot part? Why not try to secure and realise That? And, why try to sacrifice the permanent Reality, the real Eternity? Why sacrifice That for fleeting, impermanent relations? My boys! if you fail a thousand times, make an attempt once more. The ideal of man is to see God in everything, see Him in one thing, in that thing which you like best, and then see Him in another So on you can go. There is infinite life before the soul! Take your time and you will achieve your end. 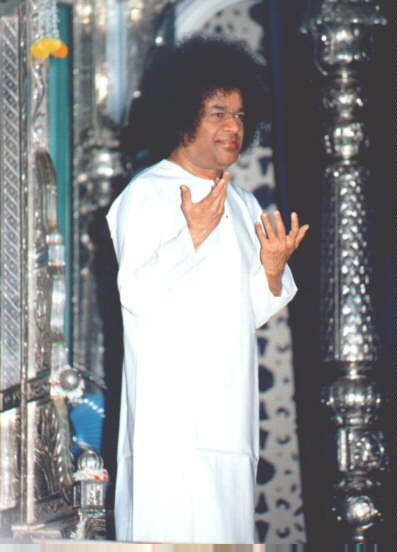 Sai is always within you and around you. Be Happy.